Click here to read Christine's most recent newsletter. 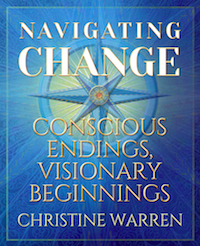 "NAVIGATING CHANGE: Transformation through Life Transitions"
NAVIGATING CHANGE: CONSCIOUS ENDINGS, VISIONARY BEGINNINGS ~ Available Now! "Inspiring... brilliantly instructs us how to pay attention to the wisdom we all possess, and allow our inner knowing to bring us to a place of balance, fulfillment, and joy. If you are seeking this vital place in your life, this is your book." "Christine's words of wisdom as a seasoned teacher of navigating change helps the reader find guidance through life's big transitions, And ultimately, give birth to their own True Self." I'm thrilled to announce the publication of my new book, NAVIGATING CHANGE. It contains all of the teachings, inspiration, practices and step-by-step guidance that have made my long-running national workshop a life-changing experience for thousands of people. Christine Warren is a 40 year national presenter of transformational workshops, a professional life coach and counselor, an author, a motivational inspirational speaker and a consultant and trainer on change. 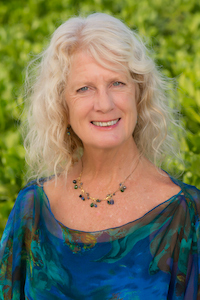 Her transformational workshops have been offered at Kripalu Center, where she is a founding member and 40 year faculty member; Esalen Institute; NY Open Center; Omega Institute; 1440 Multiversity; Rowe Center in MA; Atsitsa Centre in Greece; at Lesley College, Cambridge; Long Island University and in many other settings. She teaches and lives in Santa Fe, New Mexico. "Working with Christine Warren has been the most useful and meaningful mentoring/consulting/coaching relationship I have had with a professional in my life. In the invigoratingly serene setting of her retreat center, I find that the time, space, energy, deep listening heart and the wisdom she brings all help me find the place I come to find. I have been to a lot of 'helpers' in my adult life, and have not gotten much "help". Christine is... exceptional." Transformational Workshops: Powerful, life-shifting personal growth workshops are held at Christine's Santa Fe office and retreat center and at national program centers. Transformational Life Coach and Counselor: Christine works with a wide range of accomplished professionals, business owners, students, artists, professional writers and many others in both phone sessions and in person in her Santa Fe offices. Personal Retreat Guide: Three-day customized personal retreats in Santa Fe with Christine for individuals, couples and groups. Teen Leadership and Vision Retreats: A gifted, inspiring youth mentor, teacher and retreat leader, Christine leads life vision, conscious leadership and self-empowerment groups and retreats for young women, teens and young adults. Inspirational Motivational Speaker: As a dynamic presenter and speaker at corporate conferences, for spiritual groups, women's conferences, and teen groups, Christine's talks are uplifting, visionary, thought provoking and engaging. Christine Warren is a founding member and 40 year senior faculty of Kripalu Center, the nation's largest workshop center. 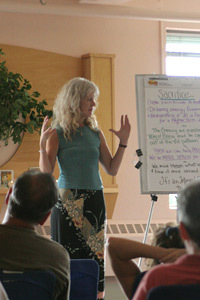 Her transformational workshops in personal growth and spiritual awakening have been given at many national program centers including Kripalu Center, Esalen Institute, Omega Institute, The New York Open Center, Rowe Center, Atsitsa and Skyros Centers in Greece, in academic settings, and in many other locations including Santa Fe. "Christine combines laser-like insight based on decades of practice with a radiant presence that makes you want to jump into the adventure of life! She is masterful in creating the environment, experiences and tools to unfold her own genuine wisdom and presence to others."" "As a 25 year former director of Kripalu Center, I know Christine's teaching intimately. I consider her to be one of the most skillful leaders of group work that I have known. Christine's teaching changes lives. She opens people to vaster possibilities for their lives, and does so with compassion, clarity and positivity. 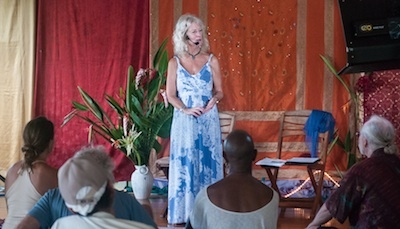 Kripalu guests love her workshops." Transformational Workshops led by Christine Warren include programs and personal growth workshops in Navigating Change, The Hero's Journey, One Spirit, The Alchemy of Life Transitions and other workshops offered in Santa Fe as well as nationally. Transformational Life Coaching & Counseling sessions combine Christine's background guiding thousands of workshop guests in transformational processes, being an executive trainer and leadership coach, and teaching transformational approaches to growth, life and change. Personal Retreats offer individuals, couples, and groups creative, custom designed sessions with Christine to receive personalized teaching and support integrating her experience as a professional life coach, skillful, insightful pastoral counselor, and seasoned facilitator. Each Personal Retreat includes experiential work, ritual and ceremony, creative visualization and brief meditation, personalized teachings, tools and handouts to create a powerful experience of change in a focused time. Inspiring preparatory work for the client and follow-up support are included. Personal Retreats take place at Christine's office in Santa Fe. "Christine Warren has impressed me more than any trainer or life coach I have observed in over 30 years in the field of education. Her sensitivity and flexibility to adapt her plan to the group's need was outstanding. Her deeply transformational workshops have given me the insights to rebuild my life with strength and vision."